Moore’s Law: What's it All About? Observed by Gordon Moore, Moore’s law states that the number of transistors in a densely integrated circuit doubles approximately every two years. This means that every two years, technology will become twice as powerful or, as has been often proved, smaller in size. As a digital design agency, this is an observation that we are very familiar with. Just by simply looking at phones and computers from only five years ago, you can begin to see how Moore’s law has continued throughout the years. But how is all of this possible? Brands are the driving force behind changes in technology, with big names consistently working to revolutionise the industry. For example, Intel has created over 40 processors in the last 50 years, each faster or smaller than the last. From their 4004 processor to the latest Intel Core i9, it just shows how far they have come in terms of both speed and size. Another brand that has progressed over the years is AMD. Again, they have given us over 20 processors in 40 years, showing just how much they have evolved in such a short period of time. Without the input of these brands, processing speeds would remain largely unchanged, making Moore’s law obsolete. However, to the casual observer, the most notable change in tech is the size. Take Motorola - they created the first phone and it was an oversized, bulky and heavy device. This is because its processor was almost as large as the phone itself. But as time progressed, technology changed and with it, the shape and size of phones followed suit. 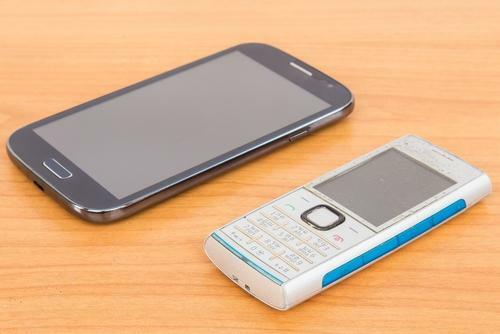 Now, almost 45 years later, we have phones that are a quarter of the size but still work faster and more efficiently. However, this is something that is still progressively changing. Now, phones have become as small as they can feasibly become without losing their usability and designers are beginning to revert back to larger models. This isn’t because technology is going backwards - instead, the need for larger phone screens is becoming more important than the need to be able to easily fit your mobile into your pocket. It’s not only the size of tech that has changed dramatically. Speed has also seen a huge improvement and the days of needing to wait ten minutes for a computer to start up are, for the most part, long gone. Now, it takes less than a minute for the average computer to boot up and be ready for use. Again, this shows just how far we’ve come in such a short period of time. A prime example of this is Apple computers. When first created, Apple computers needed to be large and bulky in order to work as well as possible. But now that their computers are much thinner, all the key components are placed inside the monitor, making it not only smaller but also faster. Moore’s law has been around for over 50 years and as you can see, it is a prediction that continues to be relevant today - something that we appreciate as a digital design agency. In the spirit of things, our own prediction is that within 10 to 15 years, quantum computing will continue alongside Moore's Law but will encounter further issues along the way. We have always kept up with the best and latest technology trends and will continue to do so, but only time will tell if Moore’s law will still be applicable another 50 years into the future.